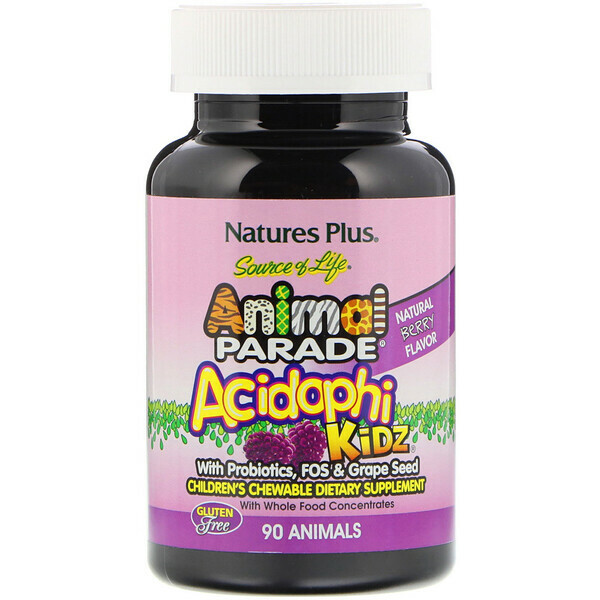 Animal Parade AcidophiKidz is a specially crafted blend of friendly intestinal flora which provide the healthful benefits associated with gastrointestinal balance. AcidophiKidz supplies the beneficial herbal extract Vitis vinifera and the probiotic B. coagulans. 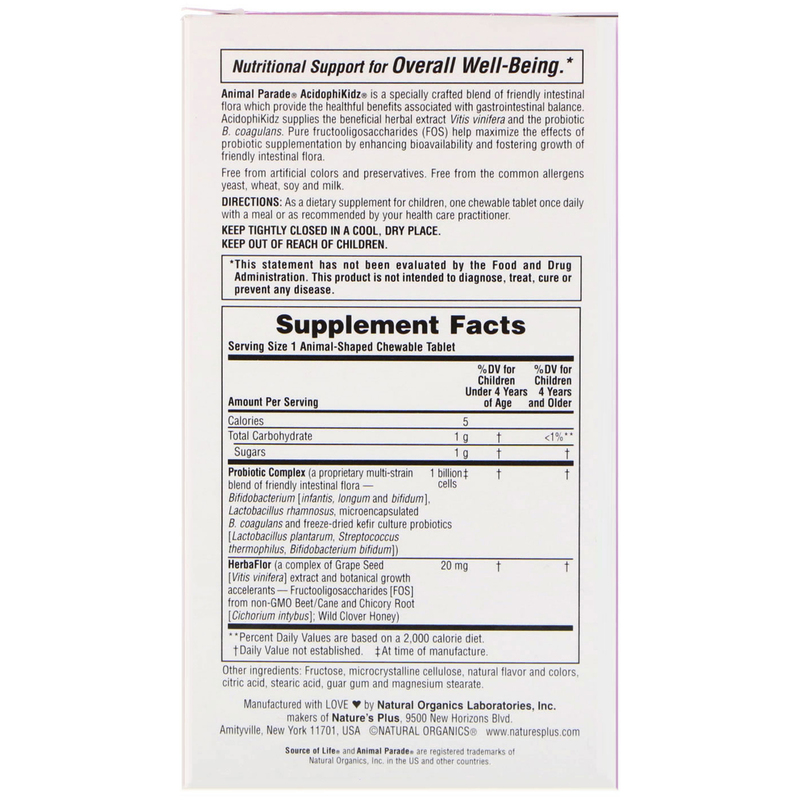 Pure fructooligosaccharides (FOS) helps maximize the effects of probiotic supplementation by enhancing bioavailability and fostering growth of friendly intestinal flora. 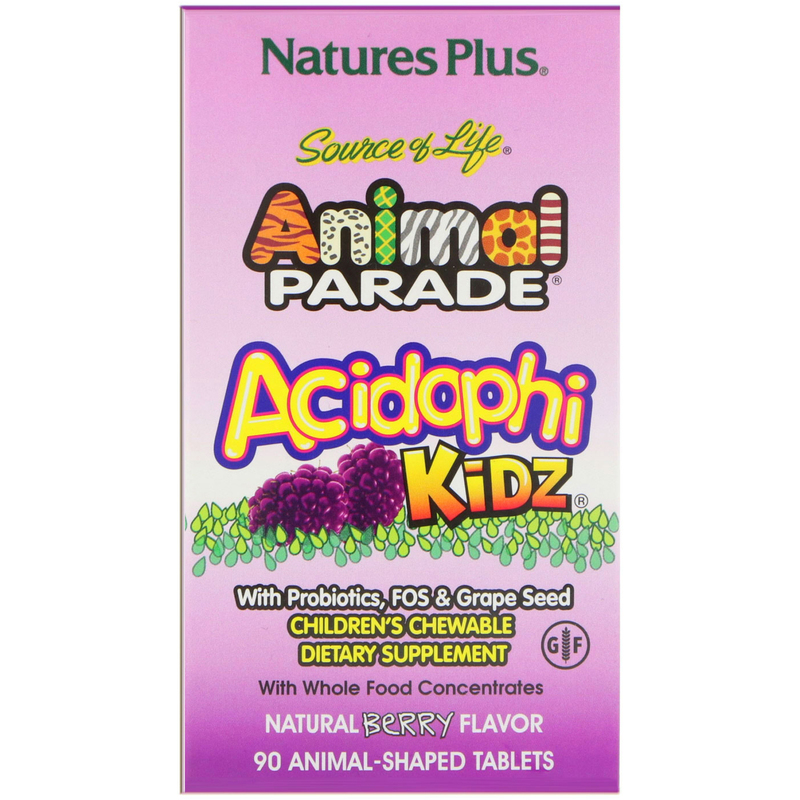 As a dietary supplement for children, one chewable tablet once daily with a meal or as recommended by your health care practitioner. 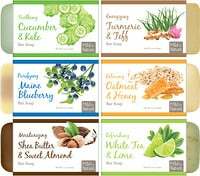 Fructose, microcrystalline cellulose, natural flavor and colors, citric acid, stearic acid, guar gum and magnesium stearate.